ed sullivan | Wait! What's A Dial? 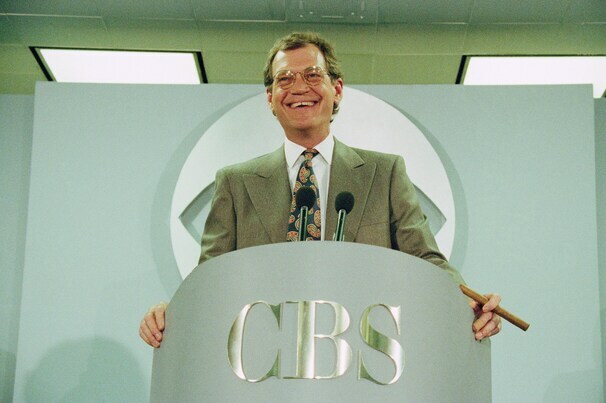 Yesterday, August 29, marked David Letterman’s 20th year hosting the Late Show on CBS. While fans are probably a little disappointed that Dave didn’t give in and do a retrospective episode or primetime special (Neither one was ever going to happen. This is Letterman we’re talking about. ), there’s no reason we can’t, with the help of YouTube, take a look back at Dave’s time on CBS. Dave may not have gotten The Tonight Show and NBC may have tried to sue him for using their intellectual property, but that didn’t stop Dave from bringing Larry “Bud” Melman, now using his real name, Calvert DeForest, to CBS. In fact, DeForest was the first person seen on the Late Show. Unfortunately, the clip below doesn’t have DeForest’s appearance on the first show, but it does have Ed Sullivan introducing Dave.